Schools, churches and movie theatres are among the places where you’ll find a marquee—also known as a readerboard—a type of sign which allows for interchangeable lettering and the ability to change messages quickly and easily. A marquee can be lighted or unlighted, and installed directly to a wall, placed on a pole or set freestanding. 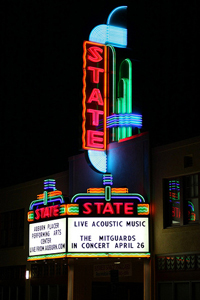 Call us today for a free consultation and estimate for setting up a marquee sign for you.